This section contains 10 groups of basic and the most common factory components. Click on the components group of your interest and select the component you need for your visualization. 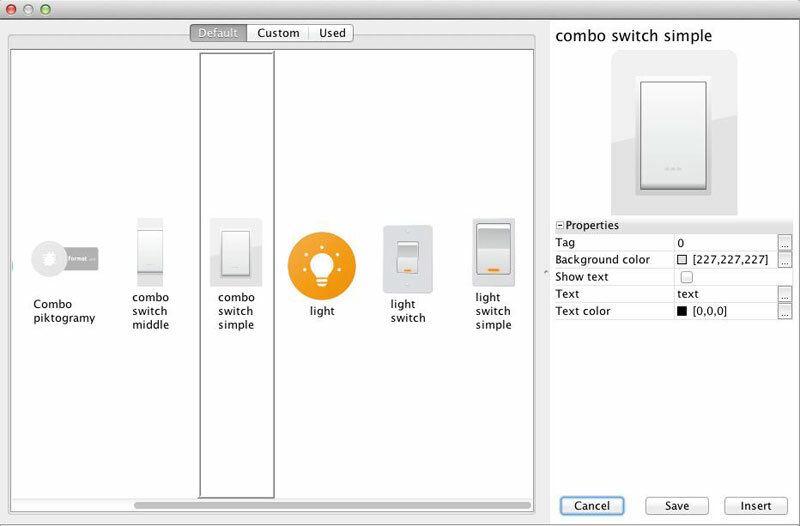 After you have selected your component, you will see its preview on the right side of the dialog window. Below the component preview, there are editable properties of the component such as Tag, Min and Max limits, background color, pointer color, text size, etc. Note that each component has slightly different properties to edit. 1. 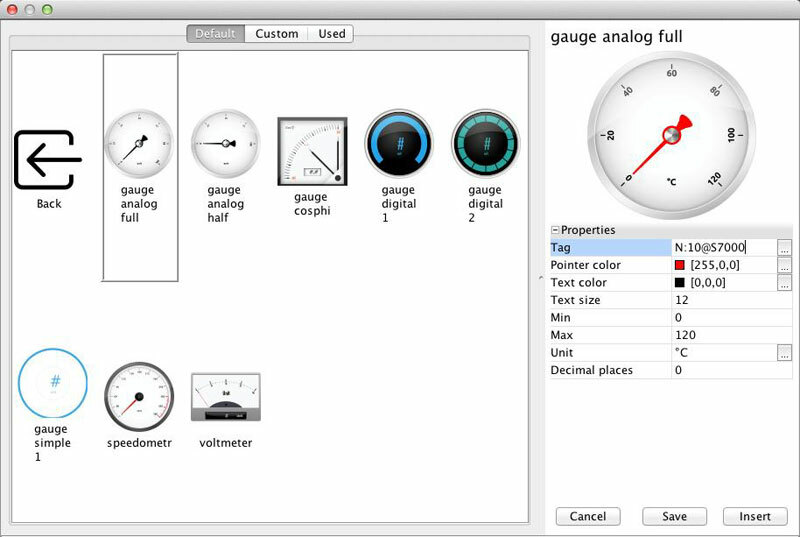 Let us navigate to the Gauges group and select the analog gauge called Gauge Analog Full, and then navigate to the Properties section in the right part of the dialog window. Write the name of the new category in the Category field, fill in the name of your customized component, and click on OK. 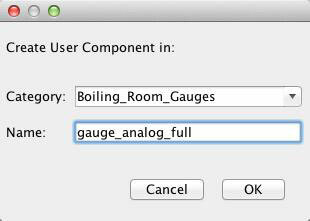 Your component will be saved and stored in the Custom section.